It can seem pretty difficult to stay involved when you have credit union members all over the state of Louisiana, but that’s a challenge we gladly accept. We’re there with food, giveaways and love at get-togethers or just because. After all, that’s what family is for, right? 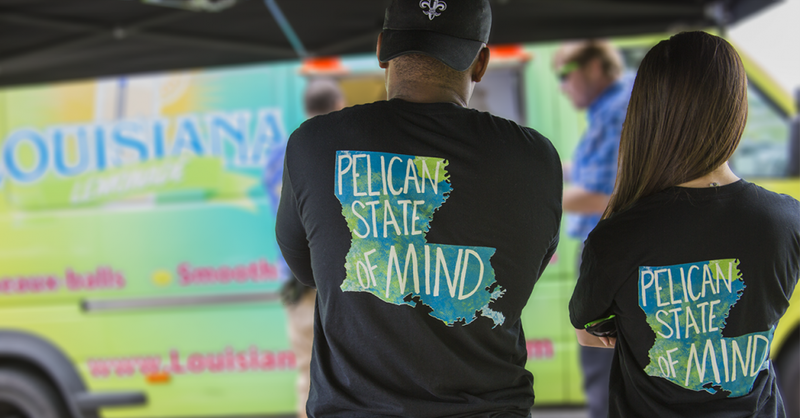 We give you behind-the-scenes looks and recaps of Pelican events so that you can see the latest happenings in your city. As a credit union. family also means giving back, so we put the spotlight on Louisiana charities and ways you can give back to those in need. We’re Louisiana – The Pelican State. Just by saying the word Louisiana you’re sure to bring a smile to anyone’s face. It’s a word that has come to mean good food, good family and good fun, and we take pride in that. We’ll talk about the latest events and things you HAVE to do in Louisiana. We’re pretty much in love with Louisiana; that’s why we decided to write a blog about it. We put the spotlight on local restaurants and businesses, events, people and places in our Louisiana cities. We also share posts highlighting the fun credit union life and Pelican culture. As the largest state credit union in Louisiana, we feel that it’s our responsibility to the entire state to give out helpful articles and tips to make everyone better off financially. Whether it’s simple ways to save, affordable community events or helpful investing tips, we want you to keep more of your money. Our Nationally Certified Credit Counselors write posts that help you down the path to financial success, and our lending and card services departments keep you more informed on the financial options available to you and give you tips to make the most of your membership. Pelican partners also provide valuable information from their experts on topics like car shopping, homebuying and more. We want to create a stronger feeling of family, fun and involvement within our communities. We want Louisiana to make better financial decisions and to have the tools to make that happen. We want to get Louisiana in a Pelican State of Mind.